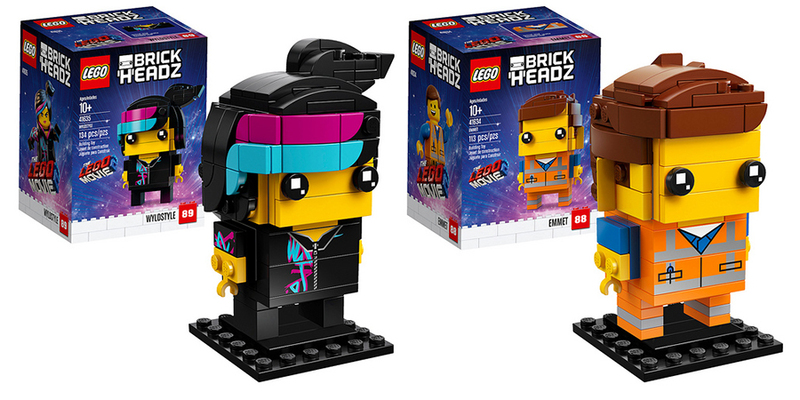 Over the weekend four new LEGO® BrickHeadz were revealed based on characters from The LEGO Movie 2. It’s now being reported that two of them are going to be exclusive to Walmart in the US. Both Emmet and Wyldstyle are set to be available exclusively through the US retailer. Who also seem to suggest they will be limited to 5000 sets and individually numbered. BrickHeadz have had a bit of a wild ride over the past couple of years, some hate them, some love them. Many of the first few sets were heavily reduced in many retailers, but as the releases have continued towards the end of last year, their popularity has exploded, with many people being unable find sets before they sold out. Which looks like could also be the case with these LEGO Movie 2 sets. Hopefully they will also be available via shop.LEGO.com and Brand Stores. There is no information regarding the sets release beyond the US, but in the past the only UK retailer to offer exclusive BrickHeadz have been Tesco.